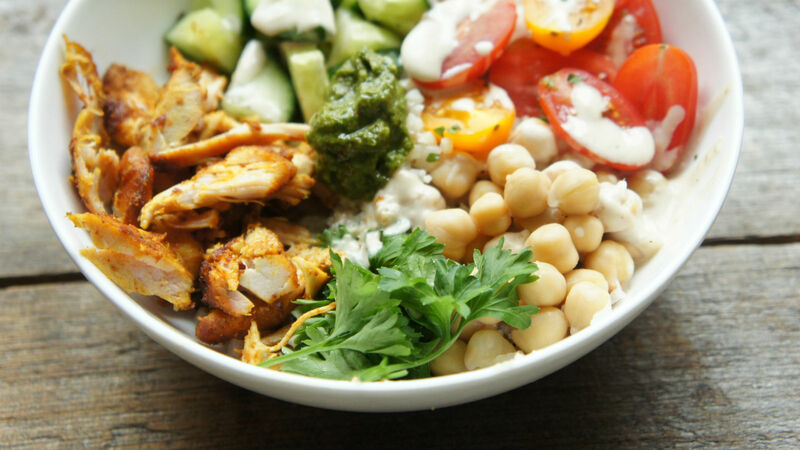 You can make this healthy dinner with chicken or tofu. Combine spice mixture in large bowl plus water and olive oil. Slather spice mixture all over chicken or tofu. Allow chicken to marinate overnight or for at least one hour. 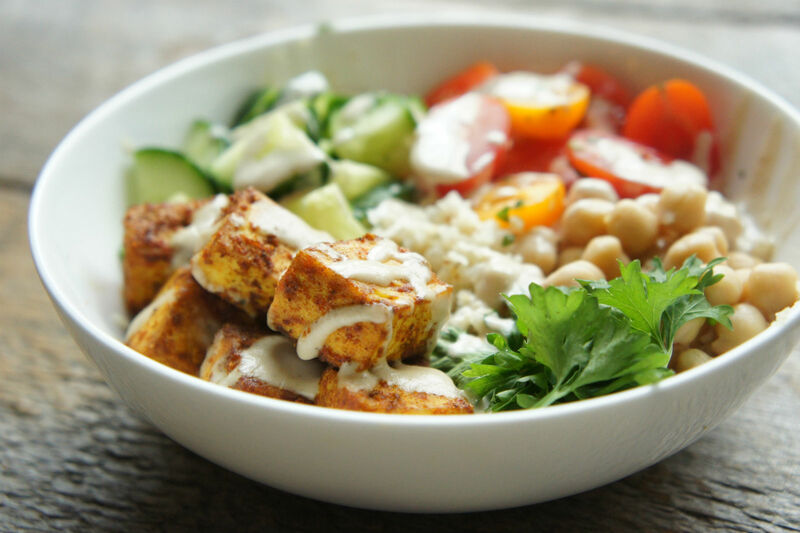 Tofu can marinate for 20 minutes before cooking. Preheat oven to 400 degrees. 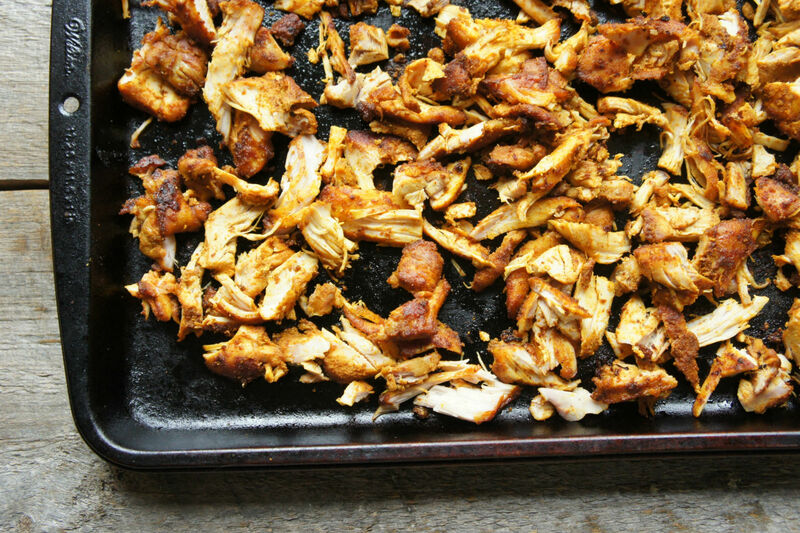 Lay chicken or tofu on a lightly greased baking pan in a single layer. Allow chicken to cool 5 minutes, then shred using two forks or a fork and sharp knife. While chicken or tofu is cooking, make the cauliflower rice: heat olive oil over medium heat in a large saute pan. Add cauliflower rice and stir until cooked. Add salt, pepper, and fresh parsley if desired. Divide cauliflower rice between 4 bowls. 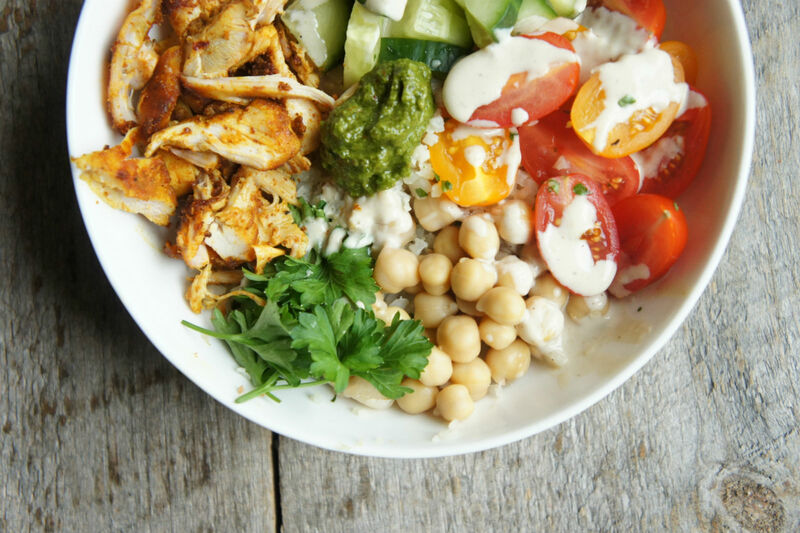 Top with chicken or tofu, chickpeas, veggies, fresh herbs, and tahini (or other toppings and condiments of choice). An Egyptian specialty, this dish is considered low-brow, but looks festive enough for a special meal. A vegetarian entree perfect for autumn.